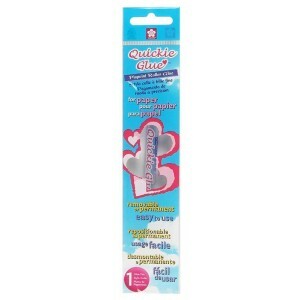 No shaking or squeezing - Quickie Glue lays down a smooth line and keeps glue from spreading or globing-up. Put glue only where you need it. Decorate scrapbook & journal pages, cards, stationery, and collages! Excellent for hand made quill projects. Spring activated nib allows longer cap off time. Unique cap makes it easily distinguishable from writing pens.